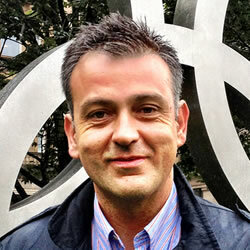 Full Professor in Audiovisual Communication and Advertising at Universidad Autónoma de Barcelona, director of the GRISS (Image, Sound and Synthesis Research Group), of EUROMONITOR and USAMONITOR, permanent television observatories in Europe and Northern America, and president of the Möbius Barcelona Multimedia prize. He has been Dean of the Faculty of Communication Sciences at the UAB and the Faculty of Information Sciences at the Universidade de Santiago de Compostela. 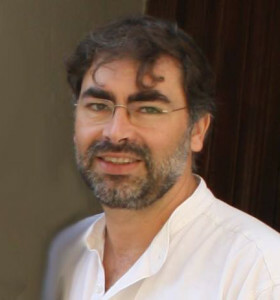 He has also been guest professor and researcher at the University of Québec in Montréal, University of California, Berkeley, New York University, University of Pisa, University of São Paulo, Universidad Adolfo Ibañez in Santiago de Chile, University Leonardo Davinci in Paris, University of Bordeux and several spanish universities. Advisor of different administrations, companies and regulatory authorities. He is author of different texts about Radio, Television and Information and Communication Technologies. Between 1973 and 1986, he developed his professional career in radio, television and press. Full Professor in Audiovisual Communication and Advertising at the Universitat Autònoma de Barcelona. Has five recognized research sections, has directed numerous doctoral thesis and head researcher of several competitive projects. 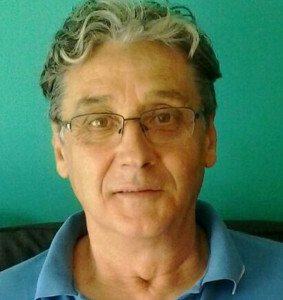 In 2011 receives the grant for Senior Reseachers Salvador de Madariaga for conducting a research at the University of Melbourne (Australia). Project Manager of GRISS (Image, Sound and Synthesis Research Group), consolidated research group and recognized by the Generalitat de Catalunya (2005SGR00846). Academic coordinator of the doctoral studies in Audiovisual Communication and Advertising. 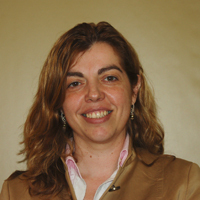 Director of the section “Comunicación y Cultura Digital” in the Asociación Española de Investigadores de la Comunicación (AE-IC) and member of the Scientific Committee of the AE-IC. She is part of various editorial and scientific commitees of journals in the field of social sciences:elos. Cuadernos de Comunicación e Innovación de la Fundación Telefónica; Sphera Pública, Revista Multidisciplinar de Ciencias Sociales y de la Comunicación; adComunica, Revista Científica de Estrategias, Tendencias e Innovación en Comunicación; Periodística, Comunicació, Revista Académica de la SCC. Has served on the evaluating team of the VI i VIII Research Framework Programme of the European Union and in various evaluation committees of local, regional and international research (CNEAI, ANECA, ANEP, AGAUR, AQU, EU, etc.). has been a researcher and visiting professor at various national and international universities such as the University of California at Berkeley, University of London (Goldsmiths), University of Melbourne (Australia), Royal Melbourne Institute of Technology (RMIT), University of the South Pacific (Fiji), Universidade de São Paulo (Brasil), Iberioamericana (México) or Adolfo Ibáñez (Chile). In 2004, he received the research award of the Consell de l’Audiovisual de Catalunya. She is an expert in cultural industries, cross-media content and participation and has published several papers and books. At the GRISS she is part of the observatory of european television Euromonitor. 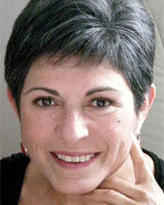 Her main research interests and publications are focused on television and its contents. Has been a visitor scholar at the Centre of European Studies de la Dalhousie University in Halifax (NS), Canada. Researcher of the Consolidated Research Group GRISS (Grupo de Investigación en Imagen, Sonido y Síntesis, ref 2014 SGR 1674) since 1994 and member of the Euromonitor Observatory about trends in the European television programming. Has participated in 8 R&D projects with the following research lines: Television genres of DTT in Europe and the behaviour of the audiovisual audiences. Has directed agreements with public institutions and participated in more than 7 agreements with the audiovisual industry. In relation with her expertise in university academic management, she has been director of the Department of Audiovisual Communication and Advertising at the Universitat Autònoma de Barcelona (2013-2015), Coordinator of the Official Postgraduate Program of the Faculty of Communication Sciences of the UAB (2010-13) and vice-rector of Students and Cooperation of the Universitat Autònoma de Barcelona. Professor and Director of the Centre d’Estudis Olimpics i de l’Esport of the Universitat Autònoma de Barcelona. Has an honors doctorate from the Universidad del País Vasco (2001). At the same time, directs the MOOC course of Olympic Games and the Media, which has had in their first and second edition more than 10.000 students enrolled from 141 countries. Has been consultor of the design and concept of the permanent exhibition on television of the new Museo Olympico 2020 of the Comité Olímpico Internacional and social network consultant of the same organization. Is the author or editor of more than 45 academic and scientific publications about new media and Olympics, sports TV rights, history, management and regulation of Pay TV, among other issues. Has been a lecturer or visiting professor at several universities in USA, China, Qatar, Brazil, Greece, Russia and South Korea. GRISS (Grup d’Investigació en Imatge, So i Síntesi, ref 2014 SGR 1674) researcher since 1994 and member of Euromonitor (Permanent monitoring of television in Europe since 2006) about television programming trends in Europe. Has participated in I+D research projects about television genres in the European DTT and the consumption and behaviour of the audiovisual audiences. 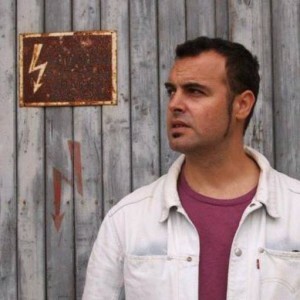 Se has worked as a media professional, being among others, founder and director of the Barça TV Channel (Official TV channel of FCBarcelona), directing the evening magazine “On vols anar a parar” of Catalunya Ràdio and in the field of independent audiovisual production, has directed films, documentaries, spots and animation series. Regarding publications, she has combined scientific and informative publications with children’s literature and apps. Diplomate in Photography (IEFC), Technical Specialist in Filmic Image and Sound (EMAV), Degree in History of Art (UB), Certificate of Pedagogical Aptitude (UB), Master in New Technologies of Communication (UAB), PhD in Audiovisual Communication (UAB), Postgraduate in Management and Local Governance (UB), Graduate Student in Multimedia Studies (UOC). Has taught and developed various management positions at the Institut d’Estudis Fotogràfics de Catalunya (IEFC), Escola de Mitjans Audiovisuals Ajuntament Barcelona (EMAV), Escola de Fotografia de la Fundació Politècnica de Catalunya (EFFPC), Centre de l’Imatge i la Tecnologia Multimèdia de la Universitat Politècnica de Catalunya (CITM) and Facultat de Ciències de la Comunicació de la Universitat Autònoma de Barcelona. Currently, in the Facultat de Ciències de la Comunicació de la Universitat Autònoma de Barcelona, teaches subjects of Graduate and Master related to the areas of audiovisual technology, photographic techniques, photojournalism, film and television language and analysis of digital identity. 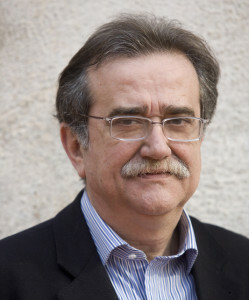 His research projects, which has been funded by organizations like DURSI, AGAUR, mNACTEC, Ministerio de Fomento, Fundación Española de Ciencia y Tecnología, Fundación Ferrocarriles Españoles and/or, among others, Generalitat de Catalunya, have been oriented mainly to the management, conservation, preservation and dissemination of photographic museum collection. In the past years, was director of the Master in Digital Image: Speciality in Photography. In the period 2007/2011 he served as a councilor for education and communication in the city of Vallromanes. Since 1996 directs the Graduate Certificate in Photojournalism. Graduate in Information Sciences (1992) and Doctor in Audiovisual Communication from the UAB with a Doctoral Thesis about the media concentration and pluralism in Europe. Since January 2003 is professor of the subject Structure of Audiovisual System at the Faculty of Communication Sciences at UAB. From 2010 to 2013, was the Coordinator of the Audiovisual Communication Degree and since 2013 is the vice-dean of strategic planning and innovation. His main fields of research are European audiovisual communication policies: public television, digital television, production promotion, and pluralism and concentration and competition protection. “Marie Curie” Fellow (1996-1998) at the Centre de Recherches Informatique et Droit (CRID) of the University of Namur (Belgium). “Academic Visitor” at the University of Oxford Centre for Socio-Legal Studies from March 2006 to February 2007 and invited professor at the Mohyla-School of Journalism de Kiev (Ucrania) in 2013. Member of the consolidated research group GRISS since 1998, and contributor to the INCOM since 2005. 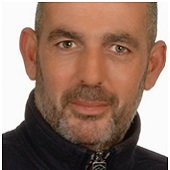 He worked as a journalist (1993-1996) in Europa Press Genuine Onda Cero Onda Rambla-Barcelona. Membre of the ULEPICC España, ECREA (European Communication Research and Education Association), thematic section “Communication Law and Policy”, i EMMA (European Media Managaement Education Association). Editor of the book reviews of de Journal Quaderns del CAC and copy editor in Comunicación y Sociedad and in the International Journal on Media Management. Book reviews editor of the journal Cahiers du CAC reader Communication and Society and the International Journal on Media Management. Lecturer in Audiovisual Communication and Advertising. Graduate and Doctor in Information Sciences by the UAB, he combines his teaching and research work with a professional career in radio. Dean of the Col·legi de Periodistes de Catalunya, Director of the Catalan Radio Observatory and member of the Radio Committee of the European Radio Broadcasting Union and the Forum Éuropenne de la Radio. He also directs the Master in Management and Administration of Radio Companies, jointly run by the UAB, Cadena SER and Santillana Formación. He has taught courses and given papers in various cities in Europe and America. His research focuses on radio media. Associate Lecturer at Universitat Autònoma de Barcelona. 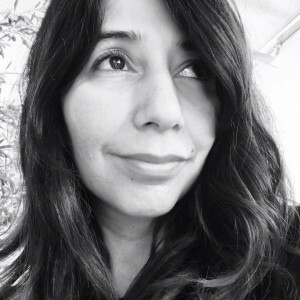 She has directed the documentaries Por amor a la Trova and Los Decires de la Huaca, and has taught courses on this audiovisual speciality and new technologies in various Mexican Universities. PhD in Audiovisual Communication and Degree in Journalism in Universitat Autònoma de Barcelona (UAB), Tenure Track Full Professor (Lecturer, Serra Húnter Programme) in the Department of Audiovisual Communication and Advertising at UAB, member of GRISS since 1997, Euromonitor (Permanent monitoring of television in Europe since 2006) and since 2007, coordinator of the Observatori de la Radio a Catalunya (l’OBS). Her teaching and research focuses primarily on media radio, television and Internet. 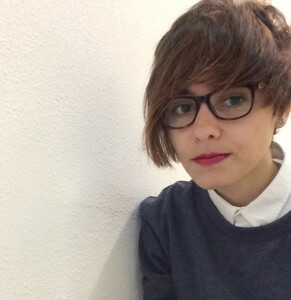 On the radio, her work focuses on the evolution of the Spanish and Catalan broadcasting system, young audience, programming trends, digital radio, antenna synergies between conventional and online and the role of the audience in the construction of the radio speech in the digital age. In television, her interests are developed in the history of television, the television system, news content, European programmatic trends, audiences and infotainment. In the field of internet, she focuses her studies on the adaptation of traditional media to the online context, especially with its business model and its strategies of multiplatform contents, the use of social networks, participation, measurement and online audience research. 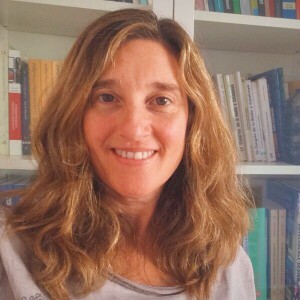 She has combined her academic work with journalism, she has worked in Barcelona Televisió, Televisió de Catalunya, Cadena SER or Localia Catalunya, and also in companies such Hi-Media. 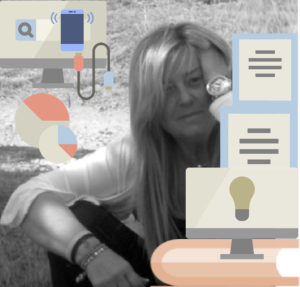 She has been part of the organization of national and international events as Openradio, Premios Ondas, Congrés de la Ràdio a Catalunya (edition II and III) and Radiodays 2012 or EBU Knowledge Exchange 2013, among others. Reader in Audiovisual Communication and Advertising. Graduate in Information Sciences and Doctor in Audiovisual Communication from the UAB. 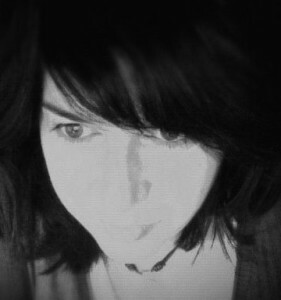 Her lines of research focus on audiovisual voice dubbing and feminist film theory. She has worked in various Spanish and Mexican newspapers. 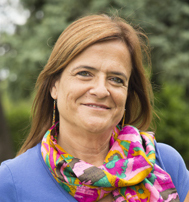 She is a founding member of the Association of Women Journalists in Catalonia and of the International Association of Young Researchers in Communication. Member of the board committe of the Spanish Association of Cinema Historians. TEU Lecturer in Audiovisual Communication and Advertising. Graduate in Information Sciences and Masters in Audiovisual Communication and Advertising from the UAB. He has taught, both in the UAB and the URV, more than fifteen different subjects related to audiovisual and multimedia production. Coordinator of various workshops, seminars, and projects for innovation in teaching, he was in charge of running and designing teaching laboratories on Communication at the Universitat Rovira i Virgili in Tarragona. 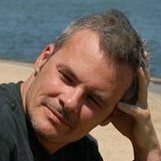 His main field of research is focused on the design of information and the use of synthetic images in television. He has worked professionally with various companies in the field of radio, television and multimedia. Winner of the Tarragona Communication Award 2004 in the category of Internet. Lecturer in Audiovisual Communication and Advertising. Graduate in Information Sciences, Master in Interactive Communication Telecommunications and Multimedia and Doctor in Information Sciences from the UAB. 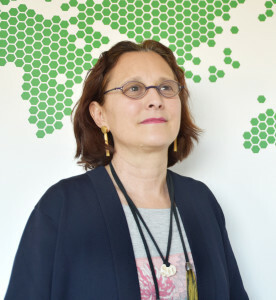 Her research is focused on policies on multimedia and new technologies, as well as on reception habits and models of consumption in the new forms of radio and television, speciality in which she has developed in various pieces of research in the University of the Basque Country. His activity as a member of GRISS has led to present their work at several congresses of the European Communication Research and Education Association, as well as those of the International Association for Media and Communication Research. Likewise, he has participated in all the conferences and congresses organized by the Asociación Española de Investigación since its foundation in 2008. Since 2007, writes “l’informe sobre la Radio Catalana a Internet” commissioned by l’Observatori de la Ràdio en Catalunya. Evaluator “Comunicació. Revista de Recerca i d’Anàlisi” and “Zer. Revista de Estudios de Comunicación” journals. He is currently Commisioner of the rector for the Information Society, as part of the government tean at UAB. Associate Lecturer in Audiovisual Communication and Advertising since 1996. Graduate in Information Sciences Doctor in New Technologies: Audiovisual Communication and Advertising. She has a professional career as a television journalist, scriptwriter and producer. She has worked, among others, on the programmes Gran Angular and Impactes on TVE-Catalunya and directed the documentary Brazil, journey to the country of the “Sin Tierra”. Doctor in Audiovisual Communication and lecturer in the Faculty of Communication Sciences at UAB. 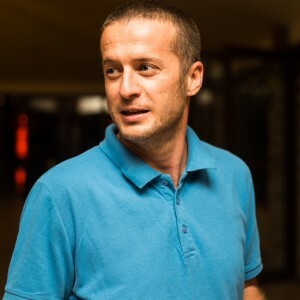 Expert in topics about the visual development, has collaborated with many universities and media in the implementation and knowledge of the theoretical and practical bases of the digital infographic and has also teach many courses and workshops for professionals of the media business. He has published several books and papers in journals about the digital and printed infographic, as well as other regarding the graphism in the tv news. Coordinates and teaches subjects related to multimedia language and infographic in Journalisn and Audiovisual Communication at UAB. Associate Lecturer in the Department of Audiovisual Communication and Advertising at Universitat Autònoma de Barcelona since 2008. He is also the coordinator of the Master in Communication and Digital Marketing and the Graduate Diploma in Digital Marketing. His research interests are focused on the digital culture and social media in particular. 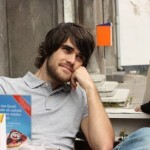 His work studies the use of digital methods for the extraction and analysis of the social media. In the context of his Doctoral training, he visited the Digital Methods Initiative of the University of Amsterdam. Bachelor’s Degree in Audiovisual Communication from the Pompeu Fabra University (2012), Master’s in Audiovisual Communication and Advertising from the Autonomous University of Barcelona (2013) and Doctor in Communication Content in the Digital Era by the UAB (2017). His thesis focuses on the practices of television industry behind transnational content flows in the United Kingdom and Spain. Currently, she is a Research Assistant of the GRISS research group and an Associate Professor of the Department of Audiovisual Communication and Advertising (UAB). 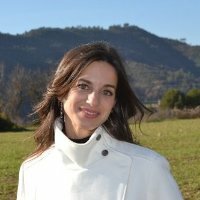 She has taught various subjects in the degree of Audiovisual Communication and the Masters of Audiovisual Communication and Publicity and Communication and Digital Marketing related to the methods of investigation in communication, analysis of audiences, audiovisual genres and Management of Digital Contents. She has also tutored Bachelor’s and Masters thesis. She has participated in two R & D projects funded by the Ministry of Economy and Competitiveness. Her main lines of research are television studios, emphasizing the study of television streams, and the new forms of media consumption, including the interaction of the audience with audiovisual content through social networks. She has been on research stays at the Center for Research in Film and Audiovisual Cultures at the Roehampton University in London and the Center for Research and Sociology Studies at the University Institute of Lisbon. She has participated in several national and international conferences, among which are several editions of the IAMCR, ECREA and AE-IC. FPI doctoral candidate of the Research Group in Image, Sound and Synthesis at Universitat Autònoma de Barcelona linketo to the GRISS I+D Project Redes Sociales y Televisión Generalista en Europa (EU-5): Usos en pantalla y actividad en red de las audiencias. 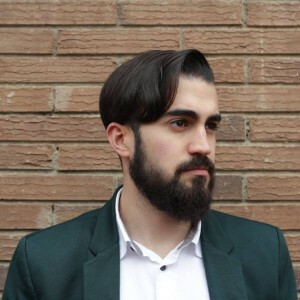 Degree in Audiovisual Communication and Advertising (UAB, 2014), Master degree in Audiovisual Communication and Advertising Contents (UAB, 2015) and he is currently studying the PhD in the Department of Audiovisual Communication and Advertising. The doctoral thesis with he is currently working, focuses on studying the informative treatment in the tradicional information genre and the hybridisation between information and entertainment, infoshow. Predoctoral Researcher of the Department of Audiovisual Communication and Advertising as Research Personnel in Training (PIF). She teaches the theoretical subject of Visual Studies in the Bachelor’s Degree in Audiovisual Communication. Having graduated in Cultural Production (UFF) and in Advertising (UNIGRANRIO), she completed Master’s Degrees in Film and Audiovisual Language (UNESA), in Marketing & Digital Business (Aula Empresarial), in Humanities, Cultures and Arts (UNIGRANRIO) and in Adult Education for Social Change (University of Glasgow, University of Malta, Tallinn University and Open University of Cyprus). Among her contributions, several papers presentations stand out in IBERCOM (2015 and 2017), ECREA Media Industries and Cultural Production Section (2017), International Lesbian Lives Conference (2017), VIII SINEFIL (2016), ECREA International and Intercultural Communication Section (2015) and ECREA Gender and Communication Section (2015). 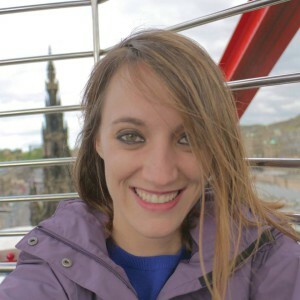 She is currently pursuing a PhD in the Department of Audiovisual Communication and Advertising, and her doctoral thesis focuses on an analysis of the representation of LGBT characters in fictional series from prime time television in the United States. Collaborator of the Grup de Recerca en Imatge, So i Síntesi. Graduate in Management Information Systems at the Bosphorus University in Istanbul, Turkey. He holds a Master Degree in Engineering Management Information Systems from the Royal Institute of Technology, and Master Degree in Journalism Studies from the Stockholm University. His doctoral thesis focused on the historical function of television in the construction of the European identity through mass media shows. Postdoctoral researcher. Degree in Audiovisual Communication and PhD from the Autonomous University of Barcelona. Her thesis is an experimental study of users motivations to interact with interactive advertising on television. In 2009, she conducted a research stay in iCinema, Centre for Interactive Cinema Research at the University of New South Wales. 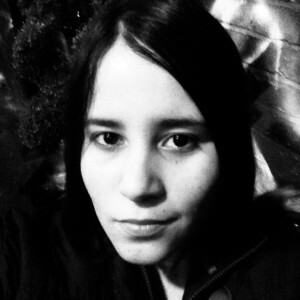 She is currently researching in the fields of interactive media psychology and media. Professor and academic coordinador of the Degree in Audiovisual Communication at Centre d’Ensenyament Superior Alberta Giménez – Universidad Pontificia de Comillas. Doctor in Audiovisual Communication and Advertising by Universitat Autònoma de Barcelona (2015) and graduate in Audiovisual Communication at Universidad Francisco de Vitoria de Madrid (2007). 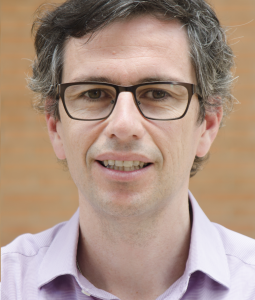 Member of the AE-IC and ECREA, his research intereses are focused in the audience participation, the communication technologies, audiovisual production and public service broadcasting in the digital era. Within the framework of the European Erasmus Scholar Exchange, he visited the University of Tübingen (2016). BA in Sciences of Communication (Mass Media) at the University of Salerno, Italy (2005),MA in TV Innovation and Quality at the Universitat Pompeu Fabra and the Universitat Autònoma de Barcelona (2007). PhD in Communication Contents in the Digital Era at the Universitat Autònoma de Barcelona (2011). Her PhD dissertation consisted of a reception analysis about young people’s consumption of television fiction programs. Calidad Televisivas por la UPF y la UAB (2007) y Doctora en Contenidos de la Comunicación en la Era Digital por la UAB (2011). Su tesis doctoral ha consistido en un estudio de audiencia sobre el consumo adolescente de la ficción seriada televisiva. In 2011 she carried out a research at the la School of English, Film, Theatre and Media Studies (SEFTMS) de la Victoria University of Wellington (Nueva Zelanda). Collaborator of the Research Group in Image, Sound and Synthesis at Universitat Autònoma de Barcelona. Degree in Audiovisual Communication at Universitat Autònoma de Barcelona. Degree in Humanities at the same university, special award of the degree (2009-2010). Master degree in “Televisual Innovation and Quality “(UAB, UPF and TV3) and Master degree in “Research Content in the Digital Age” (UAB). Student of East Asian Studies (UAB) and visiting scholar at the China Media Centre and at the Documentary Film Center (University of Westminster, London) in 2012. 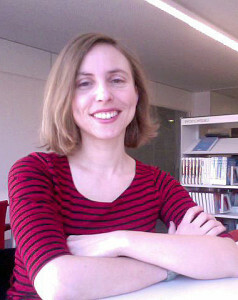 Her doctoral thesis was focused on studying the image of China transmitted through the European television documentary. Other areas of scientific interest are television programming, public service media, cultural studies, Chinese studies and documentary film. 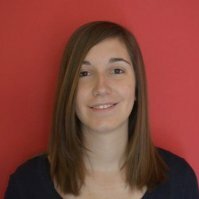 Helena Puertas Grau is research assistant (FI scholarship holder) at the “Pluralism and communication groups in Spain: audience concentration” project of the GRISS. Graduate in Audiovisual Communication by the University of Valencia and Master in Television Innovation and Quality by TV3, the Universitat Autònoma de Barcelona and Universitat Pompeu Fabra. She has worked as editor, producer, scriptwriter, ENG and interpreter in different areas such as press, corporate communication (ONGs), radio, television and documentaries. In addition to her work experience, she has also studied Modern History at the University of Valencia, the University of Barcelona and the University of Paris VII-Denis Diderot. PIF Doctoral Candidate of the Department of Audiovisual Communication and Advertising at Universitat Autònoma de Barcelona. Degree in Audiovisual Communication and Master’s Degree in Audiovisual Communication and Advertising Contents at Universitat Autònoma de Barcelona. Currently working on her doctoral thesis focused on the study of augmented reality in relation to the business sectors of advertising, marketing and commerce. Her main areas of research interest are the analysis of the digital advertising formats, digital media, social networks and augmented reality. All this taking into account the postmodern context. She has taught various subjects of Audiovisual Communication Degree related with the Audiovisual Industry and Multimedia Language. Has participated in the ornadas de Investigación en Comunicación y Cultura Digital: Investigaciones Emergentes AEIC (Asociación Española de Investigación de la Comunicación) – UJI (Universitat Jaume I) and in the following months, she will attend to the Congreso Iberoamericano de Comunicación “Comunicación, Cultura y Cooperación”, V Congreso Internacional de la Asociación Española de Investigación de la Comunicación (AE-IC) and in the The European Media and Communication Doctoral Summer School de ECREA (European Communication Research and Education Association) celebrada en Milán. Has taught the Seminar of the subjet Communication Research Methods to second year students of Advertising. 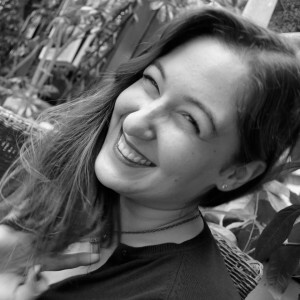 Has studied a Degree in Advertising and Public Relations in 2012 at Universidad Nebrija de Madrid and a Master’s Degree in Audiovisual Communication and Advertising Contents at Universitat Autònoma de Barcelona. The Doctoral Thesis she is currently working focus on analysing the sponsorship in the info-show programs in the generalist European STT. A comparative study between UK, Italy and Spain. Her main research area are the different genres of television advertising and programmatic genres. In 2015 she was a visiting scholar at Roehampton University (London) in order to enrich the UK section of her thesis and attend to several conferences and workshops about methodological methods. Has also participated in various conferences and congresses, AMCR (International Association for Media and Communication Research), HLMM (International Conference on Hispanic/Latino Media and Marketing) and ECREA (European Communication Research and Education Association). Has also experience in the professional sector, as a Consultant of Business Communication and Public Relation in Communication Departments of various companies.